How Do Our Clients Use Pardot RSS Email? 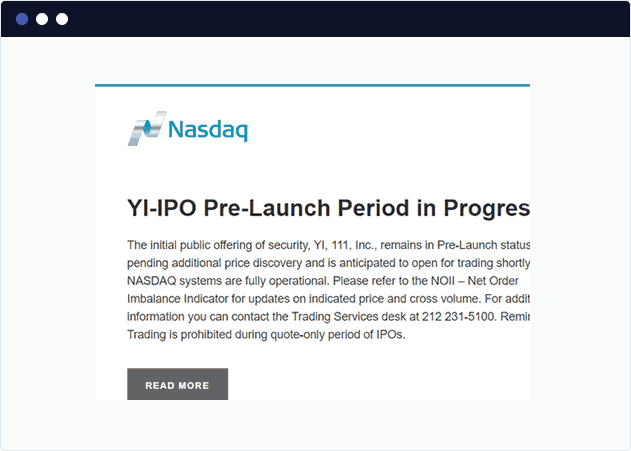 Publicly traded company’s use FeedOtter to send their legally required newsroom and disclosure content to investors, board members, and stakeholders. Sick of creating great content that your internal team never sees? 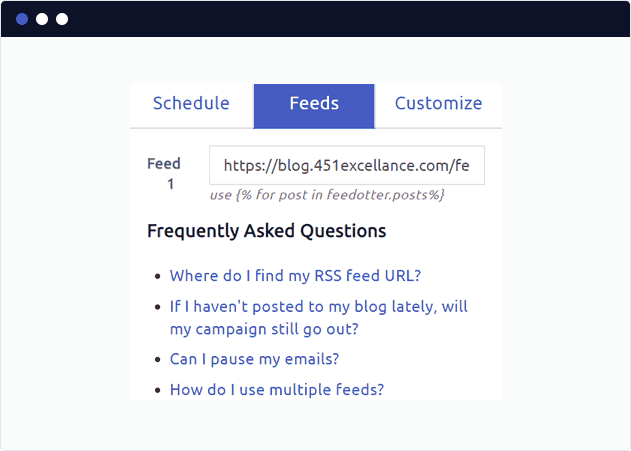 Use FeedOtter to alert your internal teams to your latest content, news, events, blog posts, or ebooks. Trying to keep a pool of candidates in the loop? Running a job board? 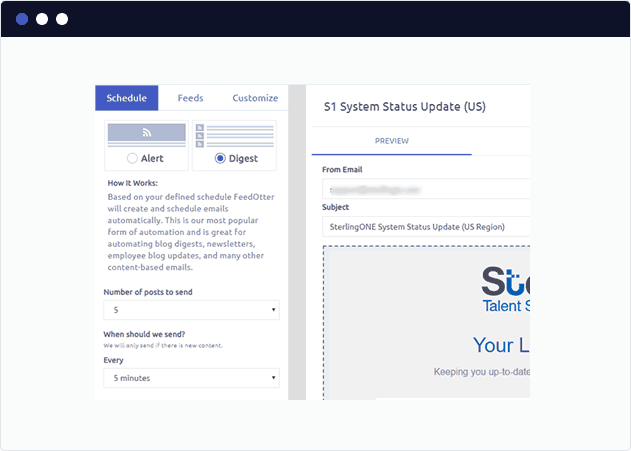 Pardot RSS email from FeedOtter allows you to send all your job alert emails directly from Pardot. It also works great for monthly job digests and newsletters! Create automated top-product, new-product, or best-seller emails and newsletters using your WordPress store’s RSS feed or your Shopify feed. 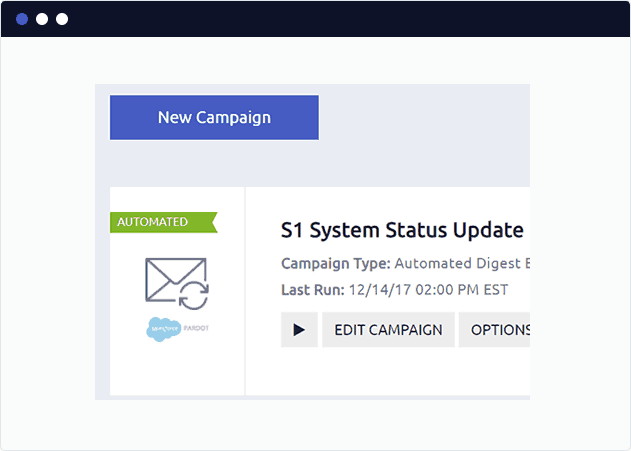 Using an XML formatted RSS feed containing system status updates allowed one client to automate system status emails that were sent via Pardot. Create rich, multi-category RSS emails using FeedOtter’s multiple RSS feed capabilities. FeedOtter allows you to send ALL data-driven RSS email from Pardot. Eliminating outlier marketing tools and consolidating your unsubscribe lists. Who Uses Pardot RSS Email? We have worked tirelessly to make setting up complex data-driven, RSS-based emails with Pardot quick and easy. Here is how a typical Pardot rss email campaign with FeedOtter is setup. To create a new Pardot RSS email create a new automated campaign in FeedOtter. FeedOtter supports sending RSS email when new content is found (Alert-style) or on a scheduled interval (Digest). Regardless, FeedOtter supports every possible RSS sending pattern you could want: Hourly, Daily, Weekly, Monthly, Business Days Only, every other month/day/hour -all supported. We do require a valid RSS feed but RSS is a very common, structured format for online content. WordPress, Shopify, Magento, Drupal, Joomla and all top CMS products generate RSS feeds for content by default or with the help of an easy to install plugin. 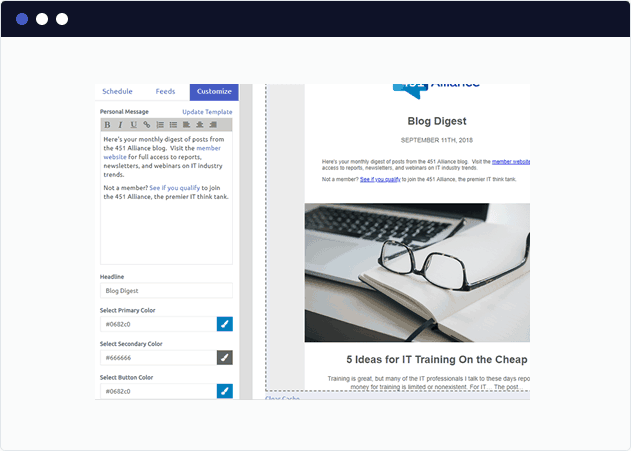 We have great looking email templates for all your RSS emails! Don’t see a template that fits your use-case let us know and we’ll build it for you. Newsletters, digest, product catalogs, system alerts, job postings our templates make setup a snap! We have built a proprietary image processing technology to make sure your images resize and look perfect in all emails. No more stretching, shrinking, or missing images. FeedOtter recommends that you have tags setup on your blog and that all images therein are at least 600px wide to ensure the images in your emails look great -always. 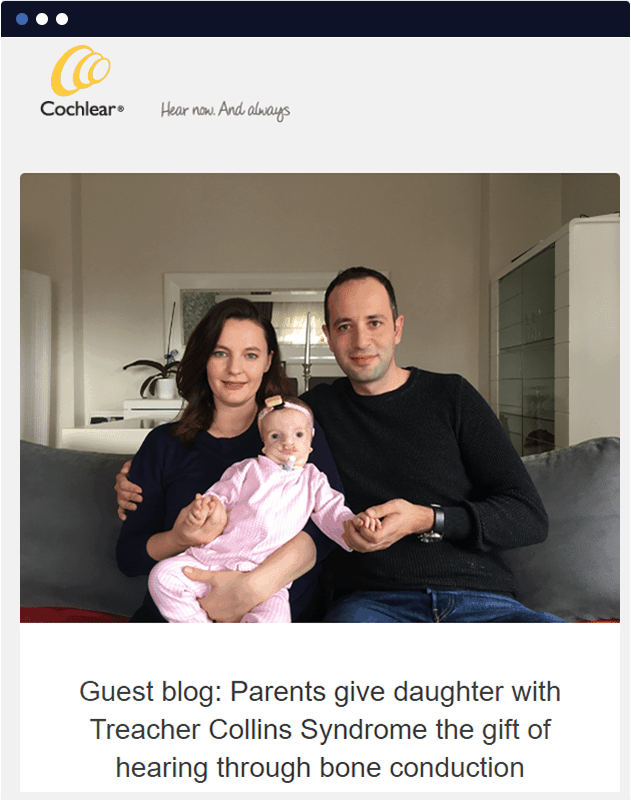 We always prefer to use an tag to ensure the images shown in your rss emails are the same as those shown elsewhere on the web. 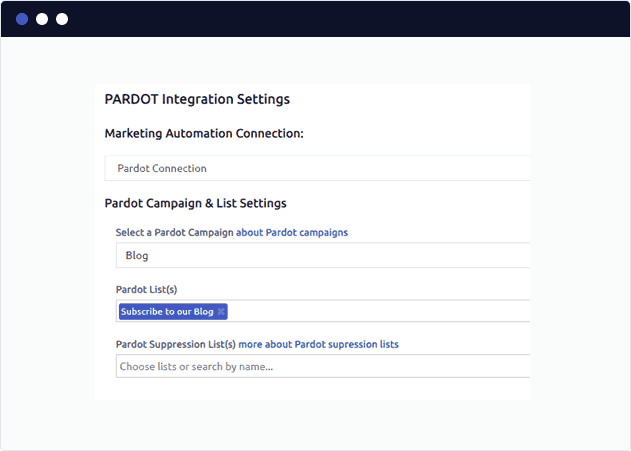 It’s easy to add UTM codes to your Pardot RSS email from inside FeedOtter. Here’s an example of how to add UTM properties to the FeedOtter loop. You will need to edit the FeedOtter template code a bit but we’re here to help if you get stuck. You can use ANY Pardot merge tokens in your RSS emais. Clients have used this to inject banner ads, first name text, or custom greetings. 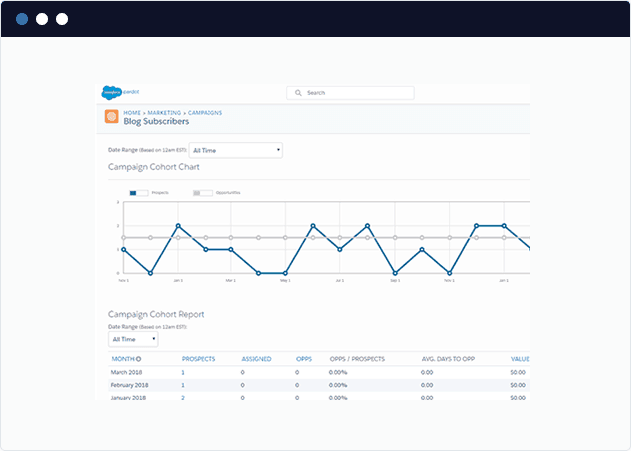 Select a Pardot campaign to group all your RSS emails for reporting. Select one or more lists or dynamic lists to specify the audience receiving the email. Once setup FeedOtter creates and schedules your RSS email in Pardot according to the rules you setup. Emails are created as “scheduled emails” in Pardot and will appear on your Pardot marketing calendar as if you created them. Feeling ready to give it a try? Click the button below to create your free trial account today.